The U.S. Department of Energy (DOE) today announced its decision to renew the Joint Center for Energy Storage Research (JCESR), a DOE Energy Innovation Hub led by Argonne National Laboratory and focused on advancing battery science and technology. 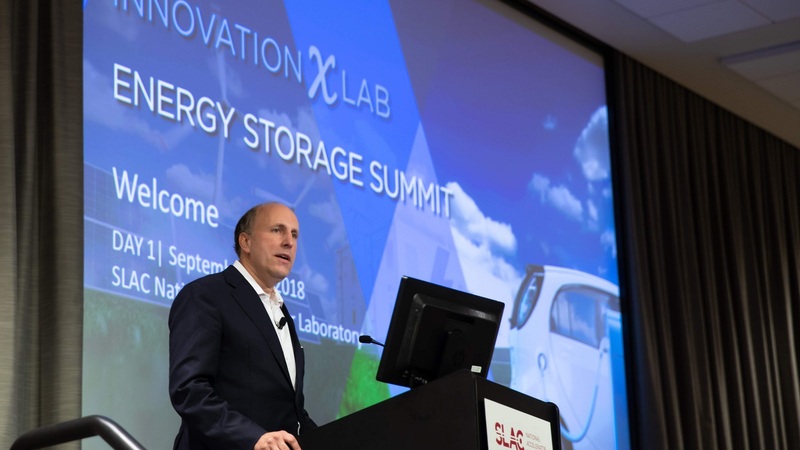 The announcement was made by DOE Under Secretary for Science Paul Dabbar at the InnovationXLab Energy Storage Summit held at DOE’s SLAC National Accelerator Laboratory. DOE plans annual funding for JCESR of $24 million, for a total of $120 million over the five-year renewal period. Established in late 2012, JCESR is a partnership made up of national laboratories, universities and an industrial firm. Its mission is to create game-changing, next-generation energy storage technologies that will transform transportation and the electric grid in the same way lithium-ion batteries transformed personal electronics. In addition, using computational methods, JCESR researchers screened over 24,000 potential electrolyte and electrode compounds to help accelerate the search for new battery architectures, data that was made publicly available to the broader battery research community. In the next five years, JCESR’s vision is to create disruptive new materials deliberately constructed from the bottom up, where each atom or molecule has a prescribed role in producing targeted overall materials behavior. Future JCESR research will be aimed at energy storage technology for a host of emerging applications, including resilient future electric grids, distributed energy management for more reliable and efficient energy delivery under all conditions, fast-charging electric vehicles and even regional electric flight. While energy storage remains the key for all of these applications, no single battery type is capable of filling all the widely varying requirements. The Joint Center for Energy Storage Research (JCESR), a DOE Energy Innovation Hub, is a major partnership that integrates researchers from many disciplines to overcome critical scientific and technical barriers and create new breakthrough energy storage technology. Led by the U.S. Department of Energy’s Argonne National Laboratory, partners include national leaders in science and engineering from academia, the private sector, and national laboratories. Their combined expertise spans the full range of the technology-development pipeline from basic research to prototype development to product engineering to market delivery. Dr. Crabtree directs the overall strategy and goals for JCESR. Paul K. Kearns is the director of the U.S. Department of Energy’s Argonne National Laboratory. With 20,000 power plants, 200,000 miles of high-voltage transmission lines, 60,000 substations and 3 million miles of power line, the nation’s electrical grid is perhaps the largest and most complex machine ever assembled. The 2018 class of fellows of a longstanding scientific society has welcomed two esteemed researchers: Ali Erdemir and John (Jack) Vaughey of the U.S. Department of Energy’s Argonne National Laboratory.